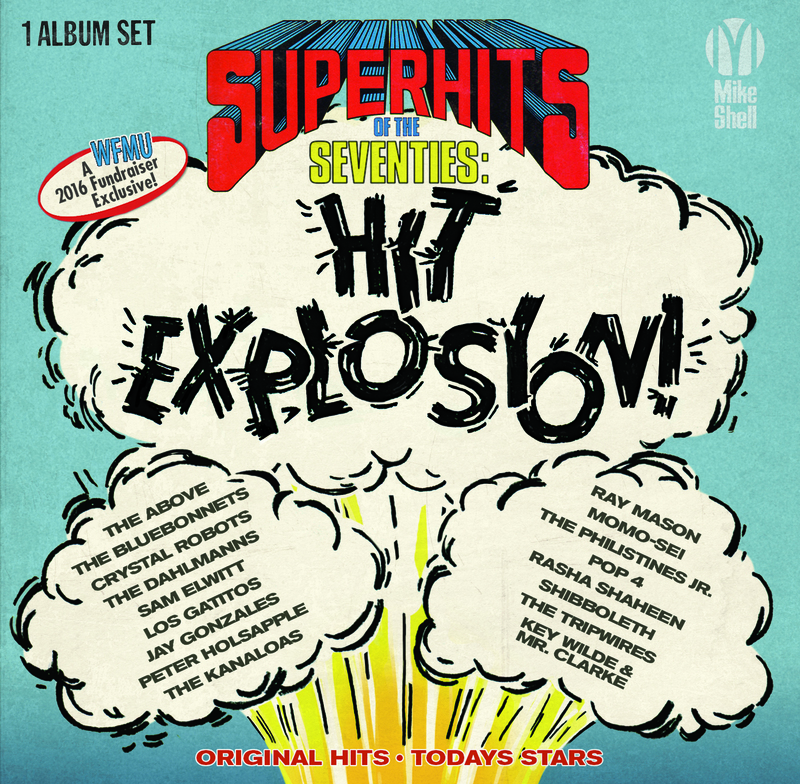 WFMU's SUPER HITS OF THE SEVENTIES: HIT EXPLOSION! 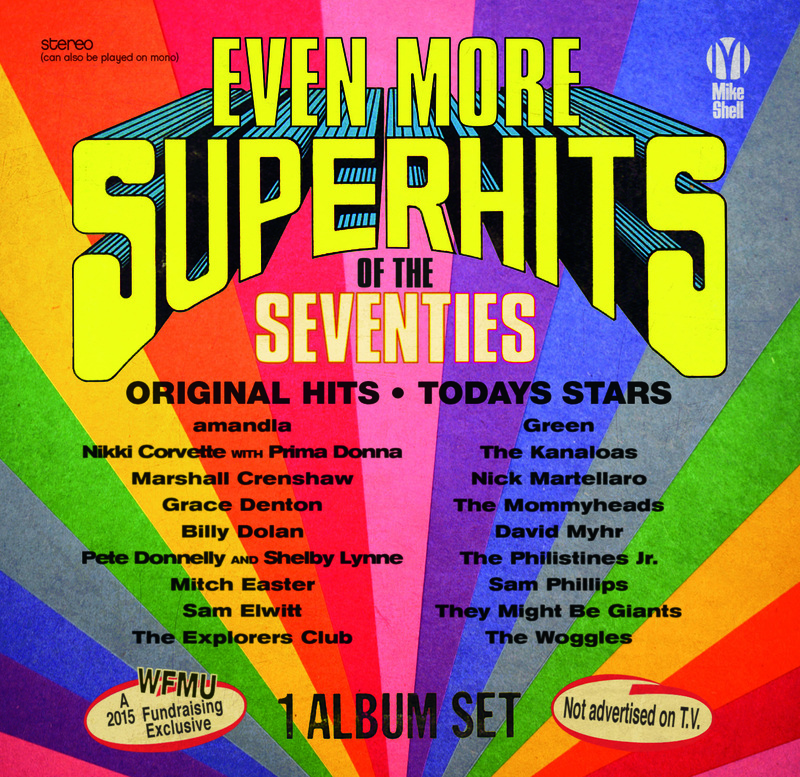 Font size="+1" Font size="+2" Font size="+3" Font size="+4"
SUPER HITS OF THE SEVENTIES: HIT EXPLOSION!! 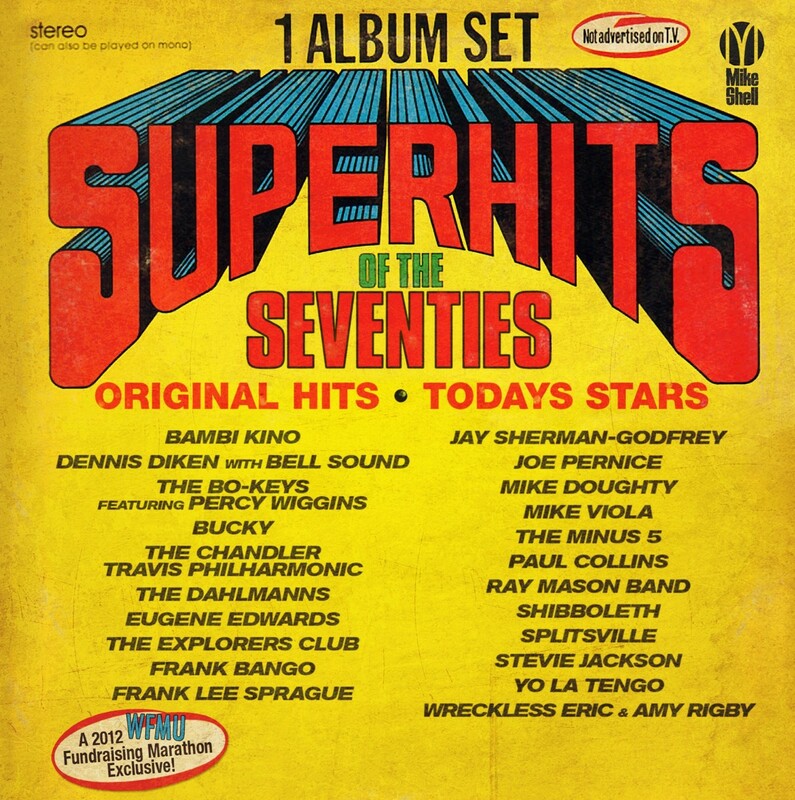 This amazing collection has 17 guaranteed #1 hit songs from some of the greatest music makers of today covering top forty hits of the 1970s - and each one has been recorded EXCLUSIVELY FOR THIS COMPILATION! 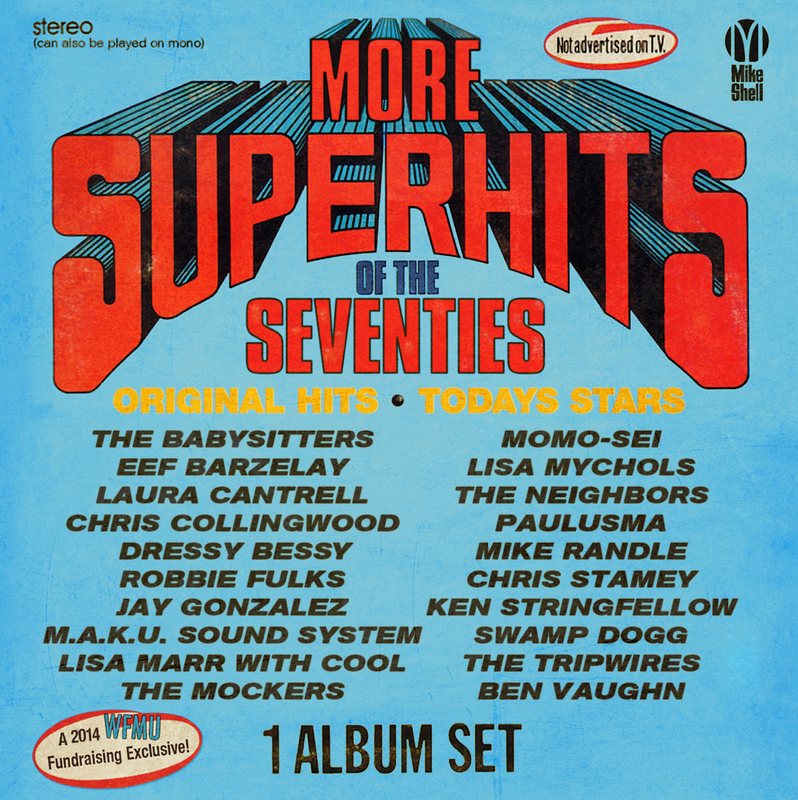 All of these recordings were created just for the 2016 WFMU fundraiser and are available ONLY with a pledge to WFMU! 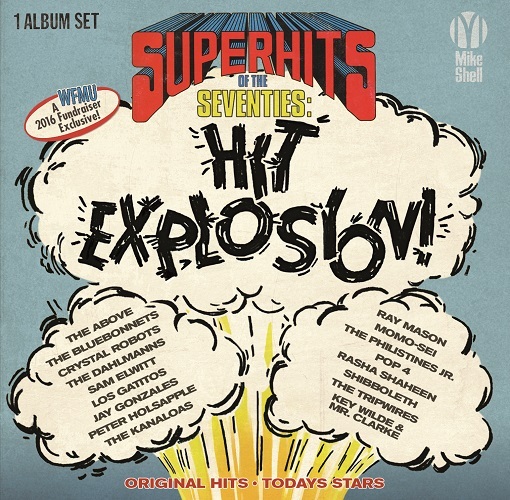 "Super Hits Of the Seventies: Hit Explosion!" is available on NOW! 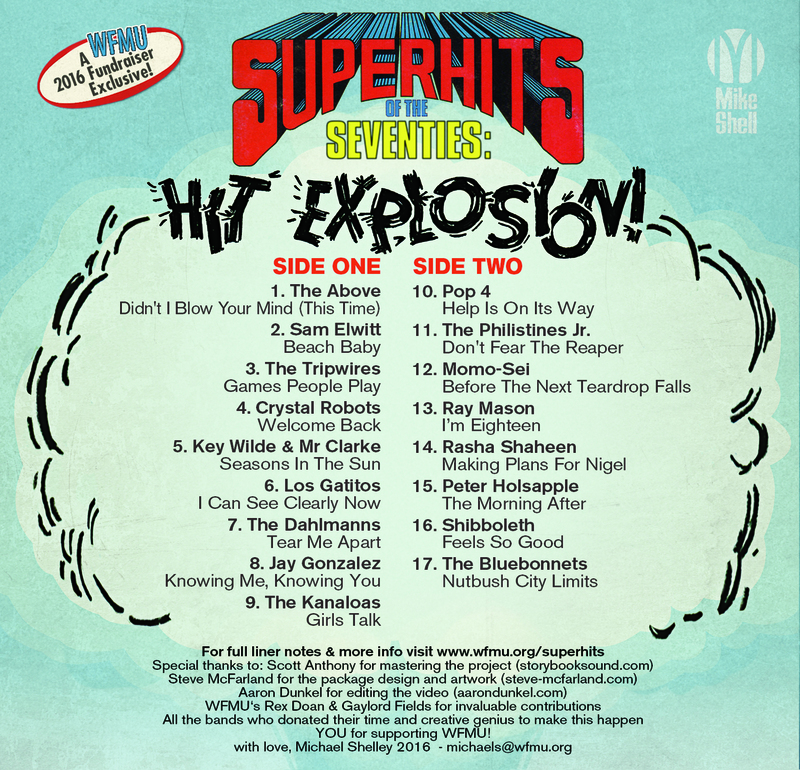 CLICK HERE for step by step details about how to get your copy of SUPER HITS OF THE SEVENTIES: HIT EXPLOSION! 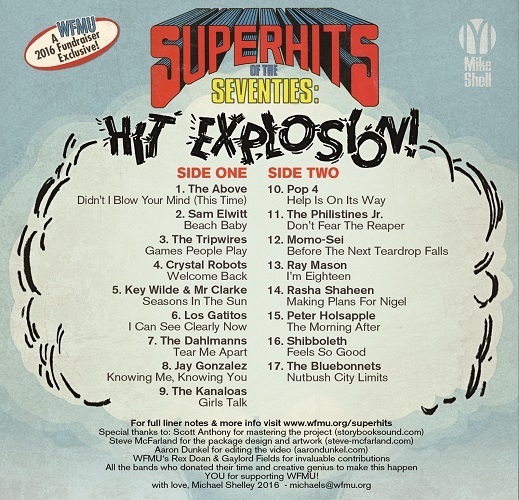 CLICK HERE for the free 15 page LINER NOTES to "Super Hits of the Seventies: Hit Explosion!" 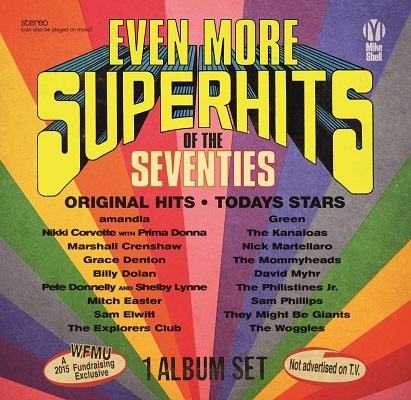 6) Jay Gonzalez "Knowing Me, Knowing You"
7) Peter Holsapple "The Morning After"
CLICK HERE for information on the second volume in this series "MORE SUPER HITS OF THE SEVENTIES"
CLICK HERE for information on the third volume in this series "EVEN MORE SUPER HITS OF THE SEVENTIES"
-Steve McFarland for the package design & amazing Photoshop work! -Aaron Dunkel for the video editing! -You for your pledge to the 2016 WFMU Fundraiser!